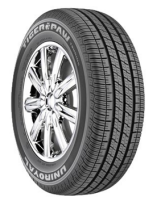 The Uniroyal Tiger Paw Touring SR tire combines the handling and performance of an all-season radial tire with the comfort and smooth ride of a touring tire. Together you get a tire that works well on all types of luxury coupes and sedans who are looking for a better than average ride. The tire itself features Uniroyal’s DuraShield construction which gives the tire its durability to last for 70,000 miles on the road. The circumferential grooves in the tread give it increased handling and steering response, which add to driver confidence in all types of road conditions. The tread design is both attractive and functional on wet pavement as well, with lower chances of hydroplaning. Prices on the Uniroyal TP Tour SR tires range from around $85 for the 70 series, approximately $90 for the 60 series model. Who Are Uniroyal Tiger Paw Touring SR Tires Designed For? Uniroyal has designed the Tiger Paw Tour SR tires for drivers of all types of coupes, sedans and other types of vehicles, who are looking for a touring tire that provides a smooth ride and dependable all-season traction and handling. Uniroyal tires provides for a 6 year or 70,000 mile tread wear guarantee on the TP Touring SR. There is also a one year or first 2/32″ of wear uniformity warranty. Finally, Uniroyal includes a materials and workmanship guarantee for 6 years, with free first year replacement or 2/32″ wear. This is followed by a prorated amount for the remaining period down to the last 2/32″ of useable tread.